The game had a very big importance for sixth-ranked Campo Alto as it allowed them to take a leadership position. Campo Alto smashed bottom-ranked Dep.Internac. on the road 88-47. As mentioned above they are alone now at the top position. Dep.Internac. at the other side still keeps top with three games lost. They share the position with Felix Perez. Dep.Internac. will play next round against Luqueno trying to get back on the winning streak. Campo Alto will have a break next round, and it should allow them to practice more before next game. Another interesting game was a derby match between two teams from Asuncion: Sol de America (#3) and Libertad (#4). Libertad was defeated at home 73-82 and even the fact of playing on their own court did not help. Sol de America have a solid three-game winning streak. They maintain third position with 3-0 record having just three point less than leader Dep.Internac., which they share with San Jose. Libertad at the other side dropped to the sixth place with two games lost. They share the position with Luqueno. Sol de America's supporters look forward to another derby game next round, where their team will face at home their local rival from Asuncion Olimpia. 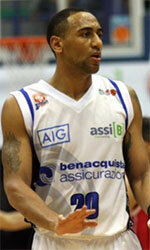 Metropolitan L. top team - Olimpia (4-0) had no problems winning another game on Monday. This time they crushed seventh ranked Ciudad Nueva (1-3) in Asuncion 115-43. Olimpia have a solid four-game winning streak. Despite that victory Olimpia went down to second position due to points difference. Loser Ciudad Nueva dropped to the eighth place with three games lost. Olimpia's supporters look forward to an exciting derby game next round, where their team will travel locally in Asuncion to the arena Sol de America. 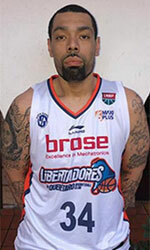 In the last game of round 4 Luqueno lost to undefeated San Jose on the opponent's court 73-87. Rather expected game in Asuncion where 5th ranked Luqueno (1-2) was defeated by top-ranked San Jose (3-0) 87-73 on Monday. San Jose have a solid three-game winning streak. Despite that victory San Jose went down to third position due to points difference, which they share with Sol de America. Loser Luqueno dropped to the sixth place with two games lost. They share the position with Libertad. San Jose will meet Ciudad Nueva (#8) in the next round where they are favorite. Luqueno will play against the league's leader Dep.Internac. and hope to win that game.